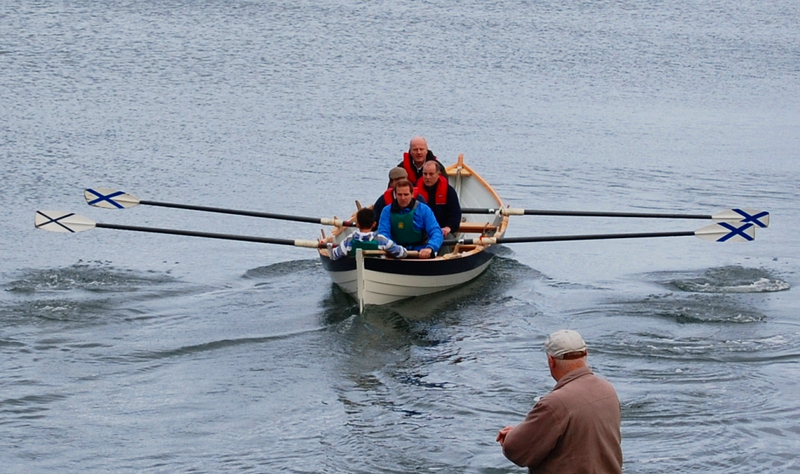 The Scottish Coastal Rowing Project’s first St Ayles skiff hit the water for the first time on Sunday, and had her first try-out with a set of borrowed oars. Builder and key powerhouse behind the project Alec Jordan reports that the Iain Oughtred-designed boat is a joy to row, as she’s stable and fast at the same time. The photos above are courtest of Alec, who must be very proud. The boat is to be officially launched at the Scottish Fisheries Museum in Anstruther on Saturday 31 October at 11am. 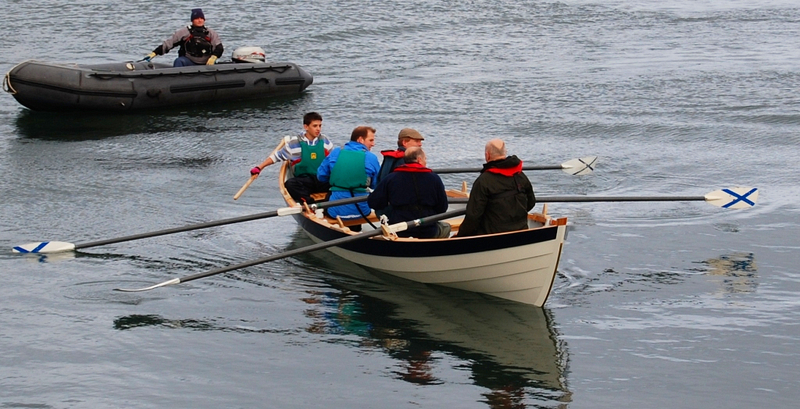 Once the formalities are over there will be a chance to row the boat – if you’d like a go, please contact Alec by email at kits@scottishcoastalrowing.org.